This letter was written by 27 year-old Daniel Mott (1835-1862), who worked the family farm with his father in Virgil, Cortland County, New York. 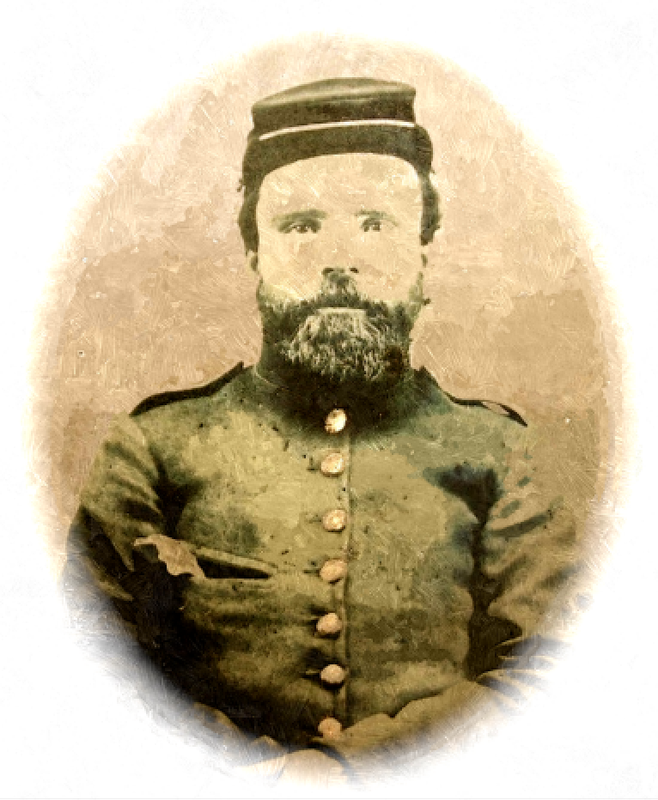 He enlisted in Co. A, 76th NY Regiment during the Civil War, and by all accounts—military, official and personal—he went missing in action on 28 August 1862 during the Battle of Brawner’s Farm, in the Second Battle of Bull Run, also known as the Second Manassas. Daniel was the ninth of thirteen children. Two of his older brothers had fought and died in Texas during the Mexican War. In 1861, both Daniel and his younger brother, William (“Billie”), joined the Union Army. For whatever reason, they joined months apart, and fought in different regiments. William came home and lived until the age of 62. Daniel was not as lucky. The “Register of Enlistments” records that Daniel stood six feet, one half inch in height, had grey eyes, brown hair, and a ‘florid’ complexion. On the afternoon of 28 August 1862 near Gainesville, Virginia, Stonewall Jackson ordered his troops to attack a Union column as it marched past unawares on the Warrenton Turnpike—Daniel Mott of the 76th NY was in this Union column of men. For one and a half hours, the soldiers fought, only thirty yards apart in places. In this short time, this opening salvo of the Second Bull Run Battle inflicted casualties amounting to almost one-third of the 7000 men engaged. General Gibbon, a veteran of some of the heaviest fighting of the entire Civil War, later recalled, ‘The most terrific musketry fire I have ever listened to rolled along those two lines of battle… neither side yielding a foot.” This savage fight at Brawner’s Farm lasted until dark. Daniel wrote the letter to his brother Samuel Mott (1826-1913). He and Samuel were the sons of Joshua Webster Mott (1791-1872) and Permelia Sexton (1798-1871). Daniel’s brother, William Warren Mott (1841-1903) — referred to as “Billie” in this letter — was a private in the 32nd New York Infantry and Billie’s letter to Daniel probably contained news of their participation in the Seven Day’s Battles near Richmond. I seat myself on my knapsack with pen in hand to inform you that I am well hoping this will find you all enjoying the same blessing. We are under marching orders and have got our knapsacks already packed so as to start at 15 minutes warning, yet we may not start before tomorrow morning. I expect we will go to Warrenton, Virginia — about 35 miles northwest of this place and near the Blue Ridge Mountains. There is quite a great many sick in the regiment. Nearly all that are not able to march have been taken to the hospitals at Alexandria and Washington. There was 6 out of our company carried to the hospital in Washington last Sunday — Rufus and Charles Hutchings ¹ were among the number. This climate agrees with me very well but I dread the march. We have to carry so much on our backs that I often wish I had the strength of Sampson of old, but I can get along as well as most of the regiment. Then we are all toiling together and — if needs be — will fight till our last drop of blood is spilled in defense of our country. I hope the President’s call for 300,000 additional volunteers will be promptly responded to and I think New York will fill up her quota of 50,000 men without drafting. But to do this, each town and county ought to bear a share and I think Virgil should spare a few more of her sons. My advice to any young man that can possibly leave home and whose health will admit to enlist by all means. “What,” says some young man, “leave at such a busy time of year as this?” “Yes,” I say, “Leave now when you are called for and so much needed to help crush out this accursed rebellion for the preservation of the Union is of greater importance than haying or harvesting.” And if the new volunteers in large numbers will come on and hold the places that we older and better drilled ones now hold so as to let us go on to Richmond and Charleston, we could go on in such large numbers as to break the backbone of rebellion in a short time. I received a letter from [brother] Billie the 10th which I will send to you. It seems he stood a near chance of his life and was in the battle that lasted 2 hours. Tell Laura, Alice, and John that I have not forgot them yet but want to see them all real bad. Most all of the little boys and girls I see around here are negroes. I wrote Sarah a letter the fourth which I presume she has got before this time. You must write soon as convenient. N. B. Direct as follows and it will follow us, go where we will. Doubleday’s Brigade, 76 Regiment, Co A, New York Volunteers, Washington D. C.
¹ Rufus E. Hutchings was 26 years old when he enlisted at Cortland in Co. A, 76th New York Infantry. He transferred to the Veteran Reserve Corps in September 1864. Charles W. Hutchings was 21 years old when he enlisted in Co. A, 76th New York Infantry. He was wounded in action in June 1864 before Petersburg and discharged in October 1864.